I love reading. 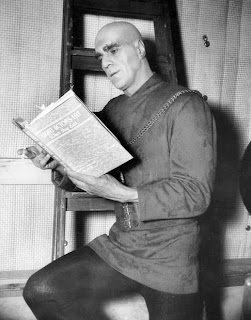 So I was excited to come across a great Tumblr feed called Awesome People Reading, which has photos Boris Karloff, Buster Keaton, Alfred Hitchcock, and others (oh, and a portrait of the poet Charles Baudelaire). My other favourite Tumblr feed is Bookshelfporn, and I can spend ages ogling the incredible libraries and bookcases featured there. 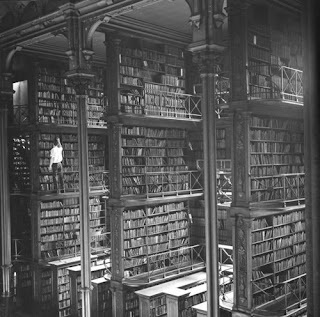 Interior of the Public Library of Cincinnati & Hamilton County “Old Main” Building. Awesome People Reading has just uploaded their awesomest photo yet (awesomest is a word, right? 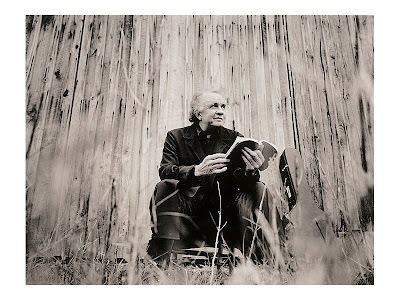 ): Johnny Cash reading. I love Johnny Cash, which is weird, because I'm not much of a fan of country music otherwise.